This Christmas just gone, Santa brought Madeleine (and me!) 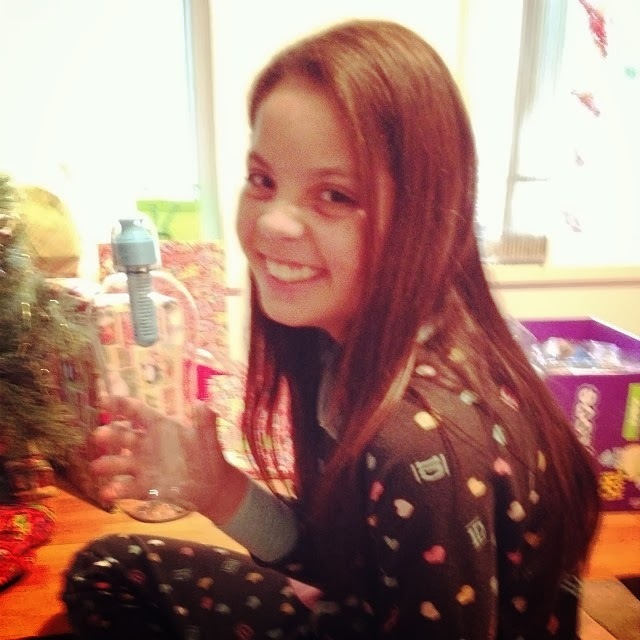 a Bobble bottle for Christmas. Never heard of a Bobble bottle? They are a good, hefty sized drink bottle with a changeable filter built into the pull top drinking spout. I've wanted one for a while, and I knew she would want one too when she saw it, so I slipped them both under the tree. Sure enough as soon as she opened her Bobble bottle, Maddy let out a squeal. "It's got a FERTALISER Mum! Awesome! Now my water can be FERTALISED!" No sweetness. You just made my Christmas day, but no. While you're fertalising your water, I'll be filtering mine.